The Tennessee Race for Possible…it’s not your every day sort of race. It’s not about running, or distance, or individual ability. It’s about team and adventure activities like climbing, paddling and hiking. It’s about raising money for motorcycles for Bible translation teams. 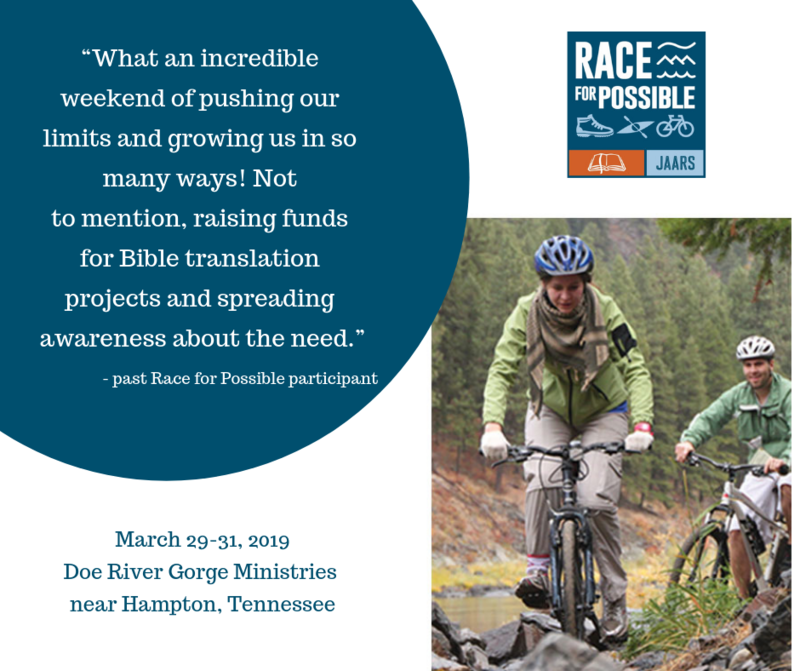 It’s happening this weekend, March 29-31 at Doe River Gorge Ministries near Hampton, Tennessee. Will you pray with us for the event, participants, volunteers, and spectators? Thank you! Pray for Race directors Doug and Bernie Campbell as they pull together last minute details and travel from Wisconsin to Tennessee today. Pray for good health and safety for all the volunteers making their way to northeast Tennessee on Friday. Ask God to give good health and endurance for the racers who are arriving Friday for the event. Lift up the racers and pray that their hearts will be moved for the Bibleless and that they will grow in their desire to be engaged in the work. Pray that the event will be an impactful and transformative experience for the racers, volunteers, and spectators. 3 people prayed for this.